If there’s something murdery in your neighbourhood – who you gonna call? Belgian womaniser Hercule Poirot of course, portrayed here with gusto by Sir Lawrence Olivier. With his moustache curling towards the heavens like a spilt Calippo on a beach in France, Poirot nailed over a million hardened criminals in a career spanning almost 230 years. Despite a crippling pain caused by an earthworm deficiency, a combination of Scotch Whiskey, Heroin and Rowntree’s Fruit Pastilles ensured he beat not only his demons, but also any punk foolish enough to cross his path. 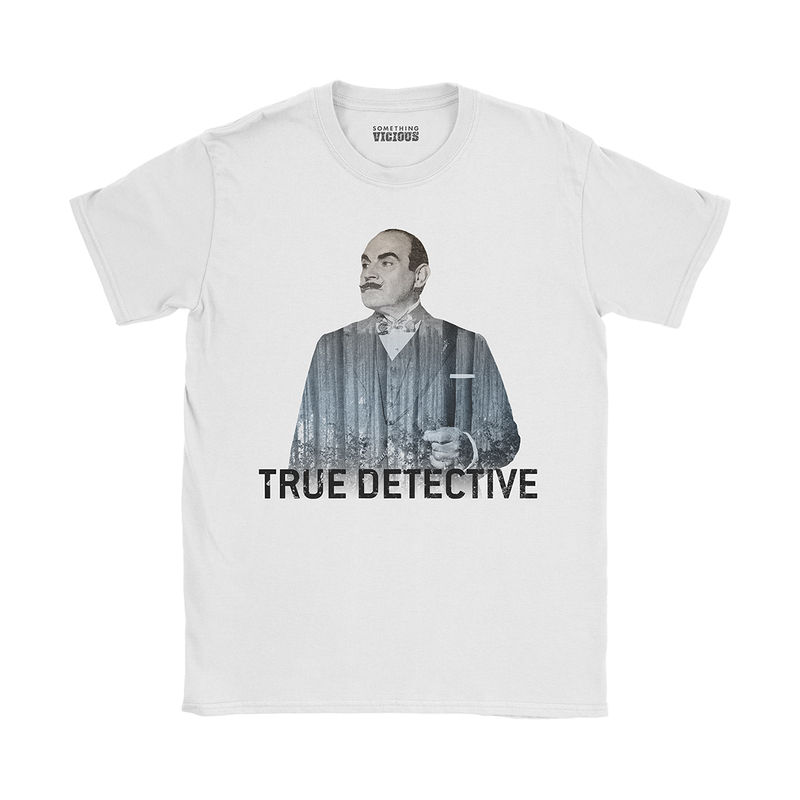 This exclusive design, inspired by Agatha Christie and HBO’s True Detective, is printed direct-to-garment using the highest quality ink onto the very best quality soft organic cotton tees. Designed to fit snugly and comfortably, these high quality garments will keep your body looking hilarious for years to come.